Swap meet, moorings, patrol boat and regatta camping also highlight July 21 agenda. SANTA BARBARA — The look of the Santa Barbara Harbor Commission has changed significantly since its last meeting in May. The commission lost a third member since November 2015, added two new members and reshuffled its leadership. Despite the changes commissioners were able to get some business done at its July 21 meeting, such as reviewing plans for replacing a harbor patrol boat and receiving updates on how mooring permits are managed. The commission reshuffled its leadership on July 21; Commissioner Bill Spicer completed his tenure as commission chair and was elected as the board’s vice chair. Commissioner Jim Sloan was elected chair, succeeding Spicer. Cory Bantilan is no longer serving on the commission. One of two new commissioners appointed by the City Council in June – Merit McRea – assumed his position on the dais on July 21. Lang Sligh was also appointed to the commission in June but was not present at the July 21 meeting. Santa Barbara will also be getting a new harbor patrol boat soon. Construction on the Harbor Patrol Boat 1 replacement is currently underway at Radon Boats in nearby Goleta and is costing the city about $214,000. The patrol boat, a 22-foot Center Console, was built in 1983. “It’s pretty tired and time for replacement,” Harbor Operations Manager Mick Kronman said about the fleet’s flagship vessel, which could be commissioned in early 2017. 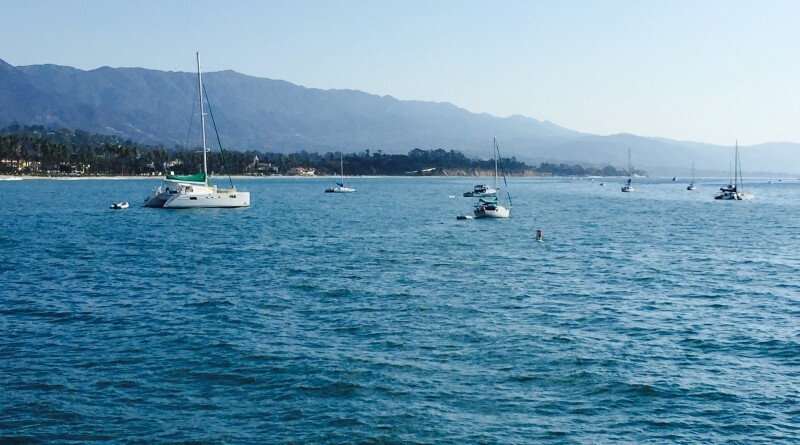 Santa Barbara Harbor also changed how it manages requests for mooring permits. The harbor recently had a lottery system to determine who would be allowed to use one of the 44 moorings available in Santa Barbara. However the City Council recently ended the lottery system and instead implemented a first-come, first-served plan for mooring permits. There are 21 mooring permits currently in use, according to Kronman. Kronman reported the seventh annual Harbor Nautical Swap Meet had record vendor attendance. Kronman reported 58 vendors attended the May 14 event at Santa Barbara Harbor and had boats, skiffs, motors, kayaks and standup paddleboards, among other items, available for sale. Commissioners approved a special permit for the Wine and Rose Regatta to allow camping, Aug. 19-21, at Leadbetter Beach. The regatta is part of the California State Catamaran Championship circuit and has been held in Santa Barbara since 1994. Santa Barbara Yacht Club and Southern California Hobie Cat Fleets host the regatta. Though the regatta is an ocean-dependent event its participants often use a local beach to keep equipment when not in the water. Camping is generally not allowed on Leadbetter Beach but the Santa Barbara Waterfront Department has discretion to make certain exceptions.